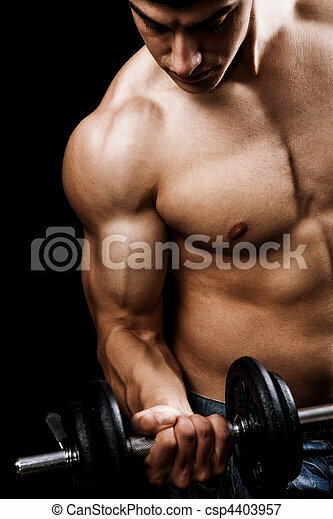 Powerful muscular man lifting weights. 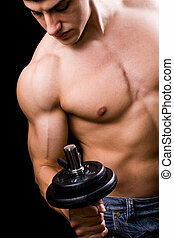 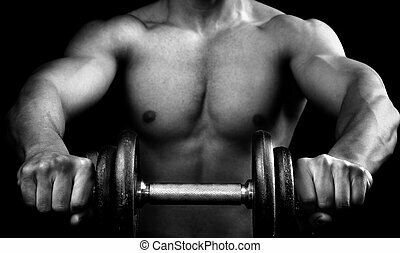 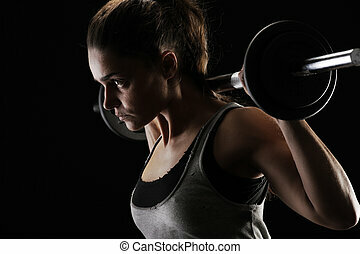 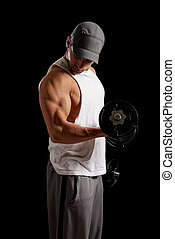 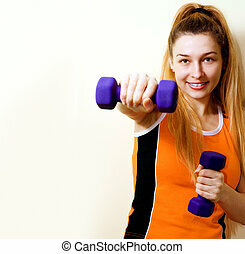 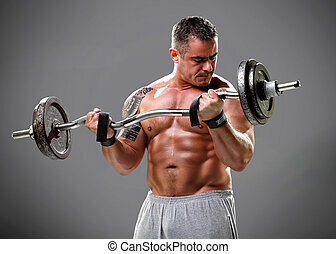 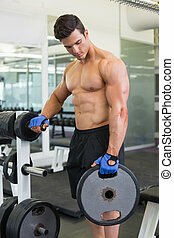 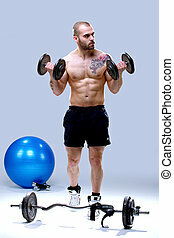 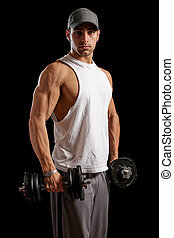 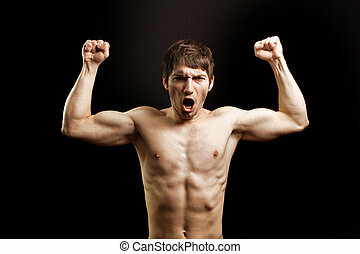 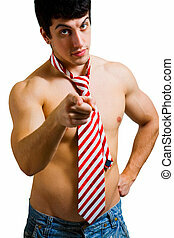 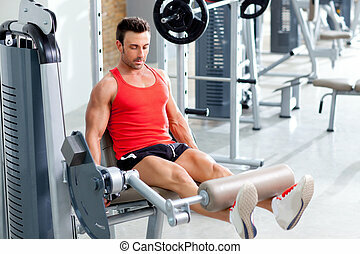 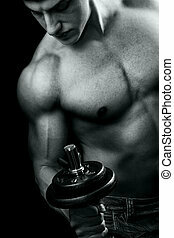 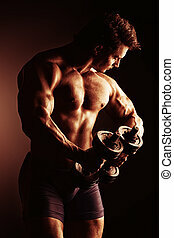 Fitness - powerful muscular man lifting weights. 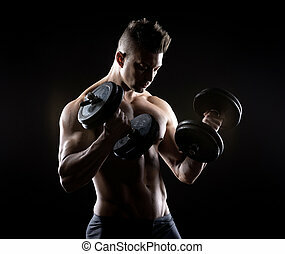 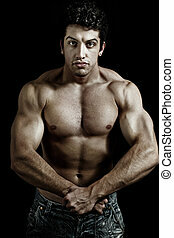 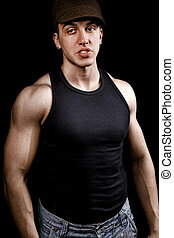 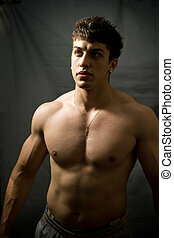 Muscular attractive man weightlifting on dark background. 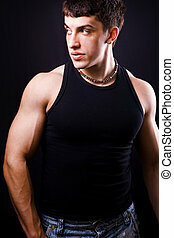 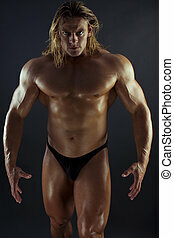 Portrait of a handsome bodybuilder posing over black background.